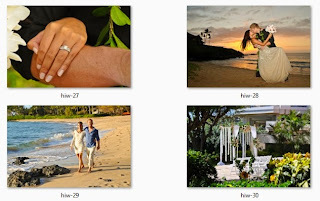 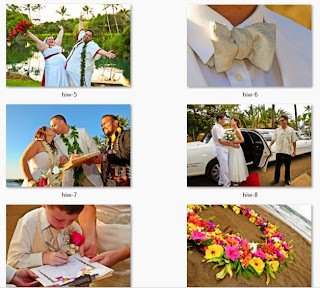 Each year I'm called upon as a member of the Maui Wedding Association (MWA) to submit wedding photos for possible publication in the Maui Wedding Planner magazine. 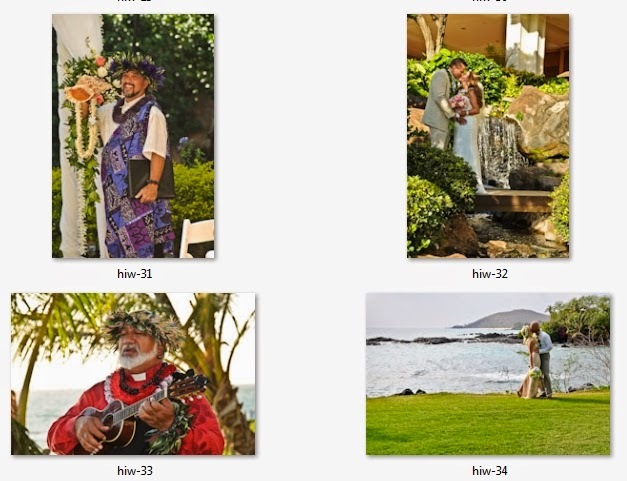 The magazine is produced annually by the MWA and distributed through-out the country at various Bridal Shows and well as at the Maui Wedding Expo. 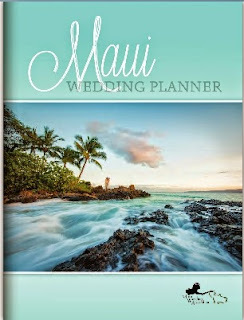 This magazine has won awards year after year for it's great content and excellent wedding photography. Each year I am blessed with having many of my photographs published in this magazine. I have selected my top 40 images to submit this year. 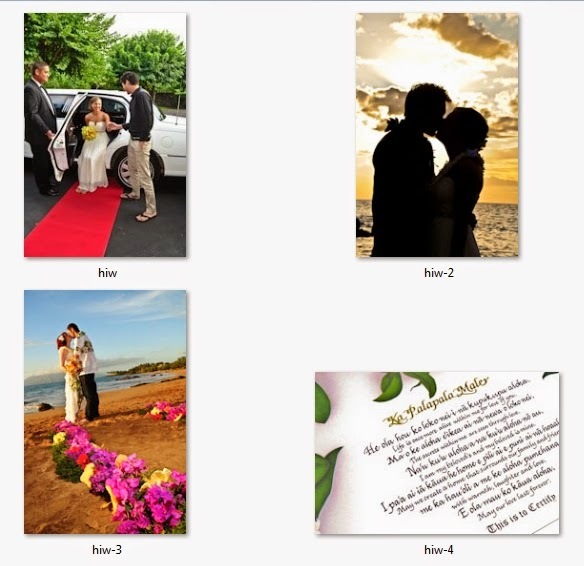 If your photograph is published, I will send you a copy of the magazine (or you can request one free from the MWA). 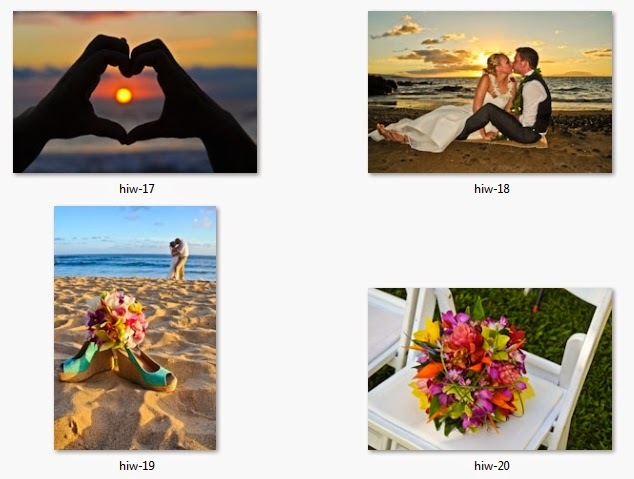 Below are the 40 images I have submitted. 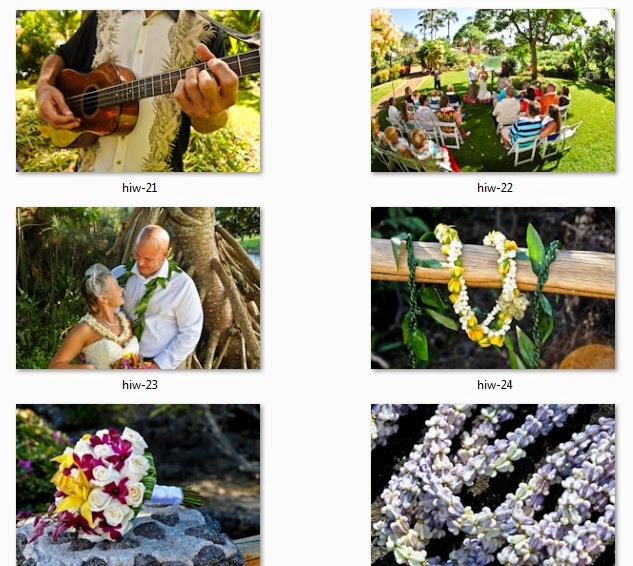 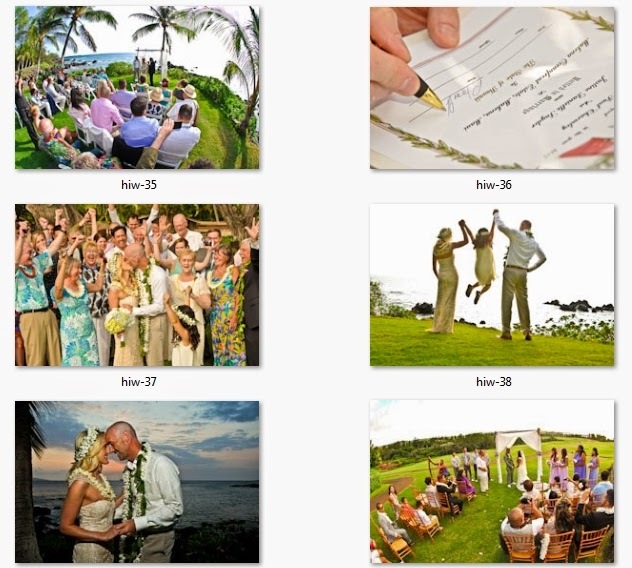 As a wedding couple who has had Hawaiian Island Weddings, Inc. arrange your wedding, you have given us permission to use your images when agreeing to our contract. 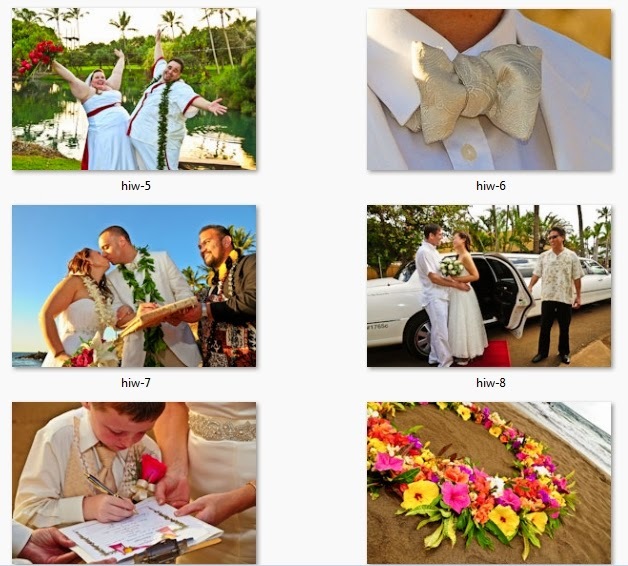 I'm sure that you will be proud if your wedding image is published in the magazine, and I will send you a copy of it. 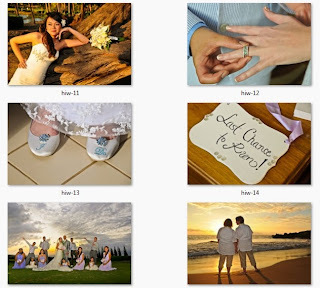 Although, if you choose not to have any of your wedding images submitted, please email me before May 13, 2015 (the deadline date).